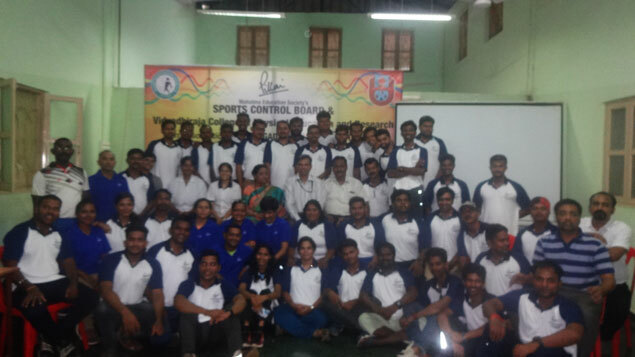 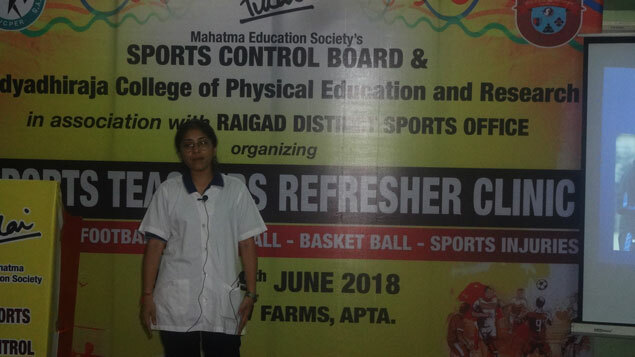 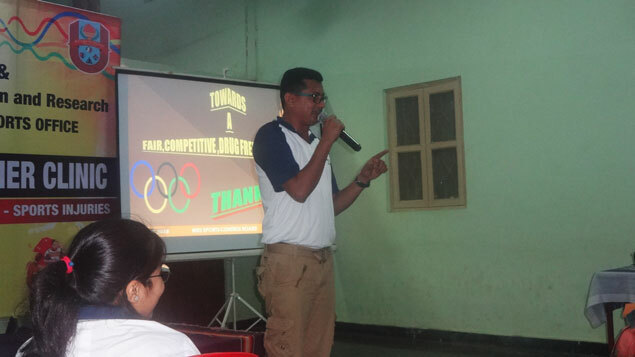 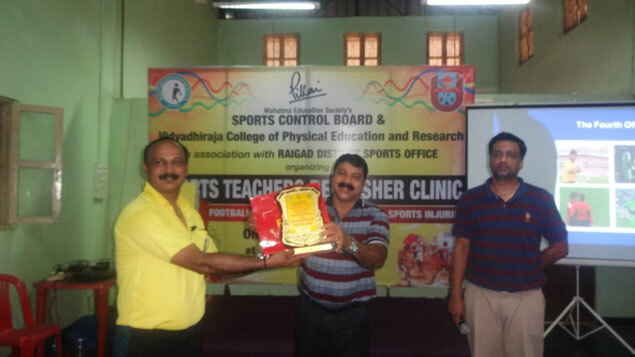 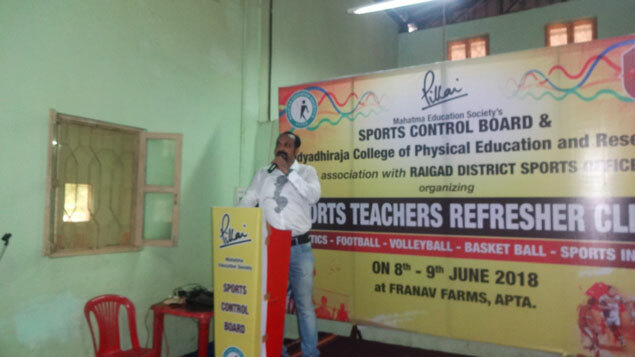 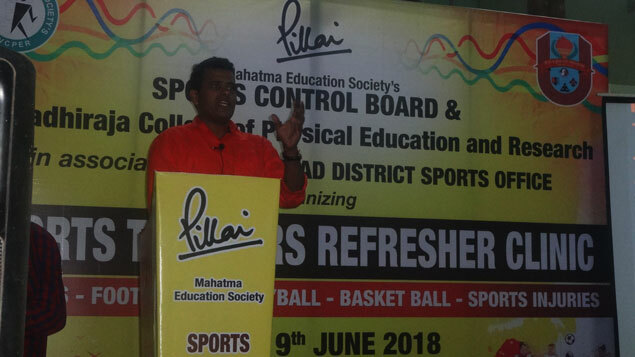 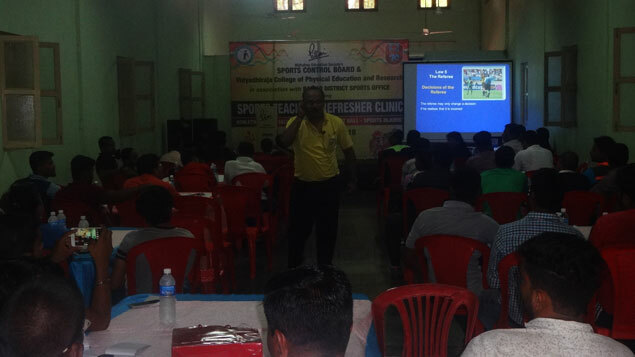 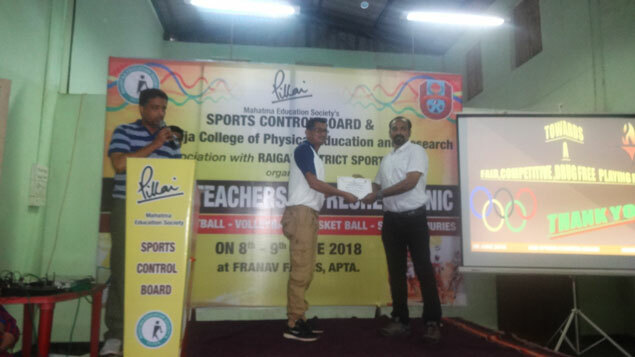 Mahatma Education Society's Sports Control Board and Vidyadhiraja College of Physical Education & Research in association with Raigad District Sports Office have organized a Two Days Residential Refresher Clinic for Sports Coaches / Teachers on 8th - 9th June, 2018 at Franav Farms, Apta near Panvel. 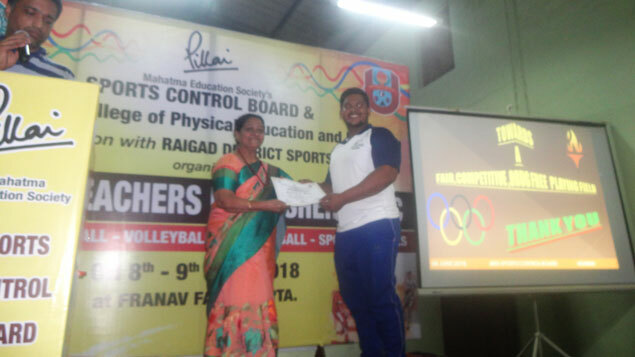 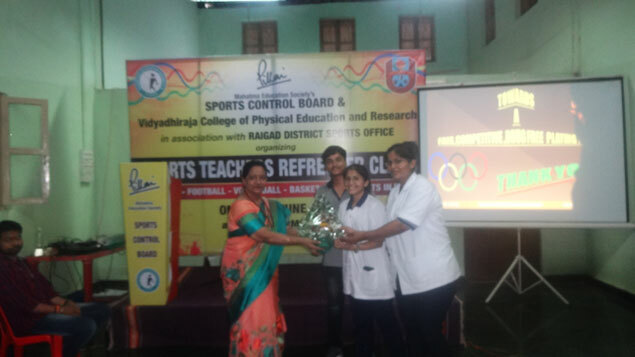 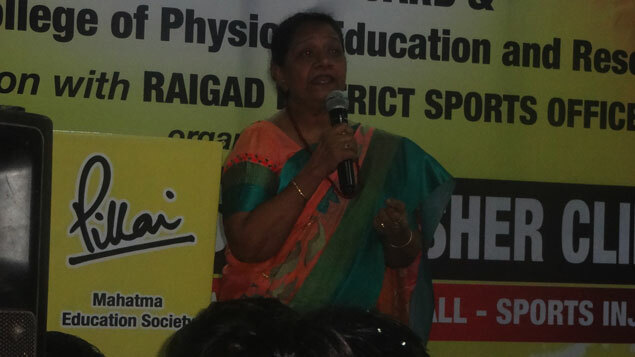 The two days events were inaugurated by Raigad District Sports Officer Mr. Mahadev Kasgavade in the presence of Dr. Mrs. Nusrat Shaikh. 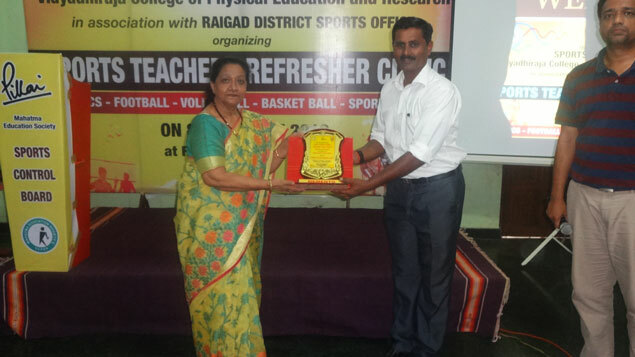 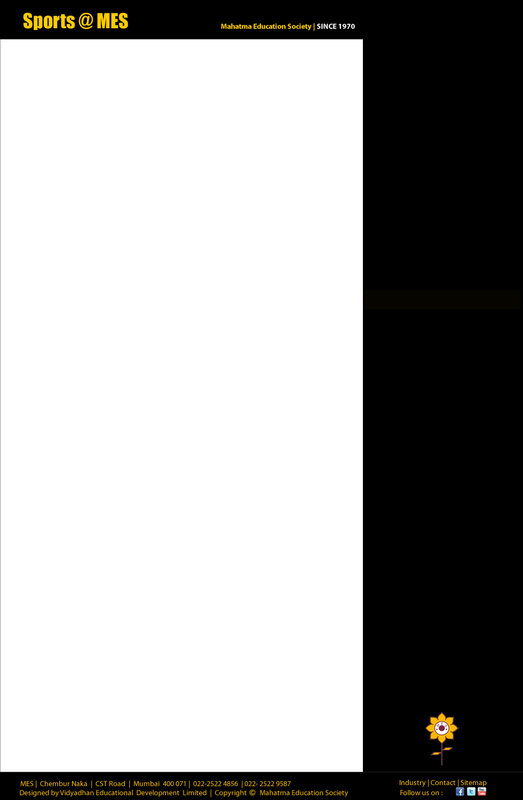 Principal. 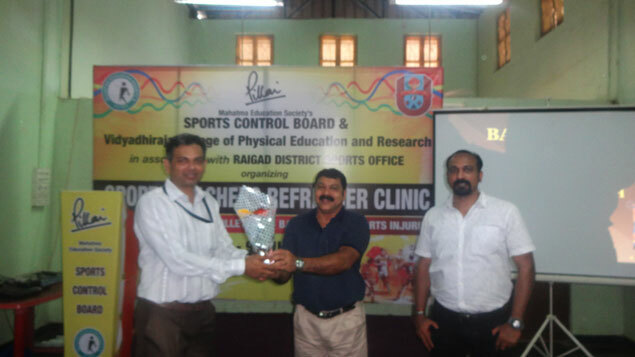 VCPER and Mr. Padmakshan Padmanabhan, Director of Sports, MES. 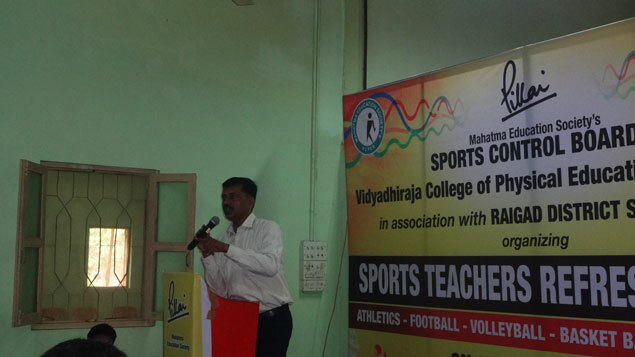 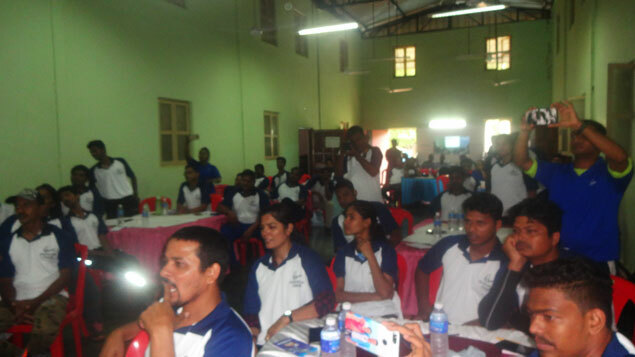 More than 60 coaches / sports teachers from across the state participated in the event. 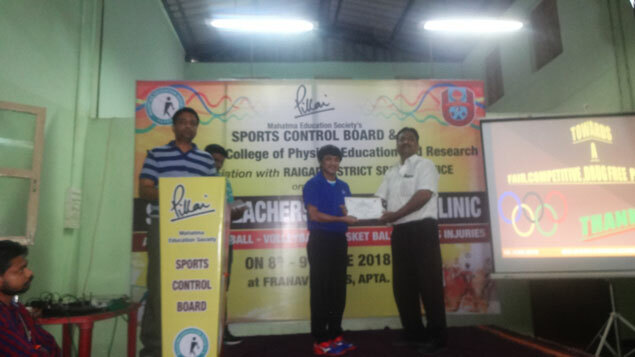 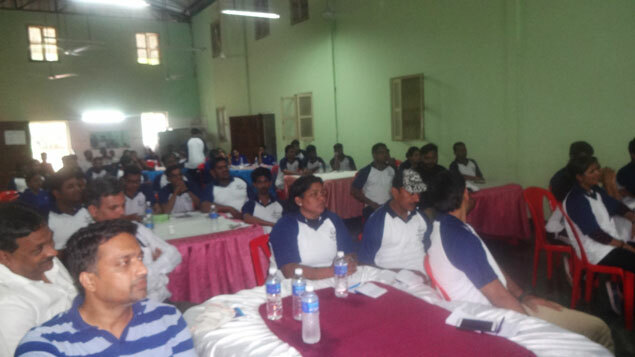 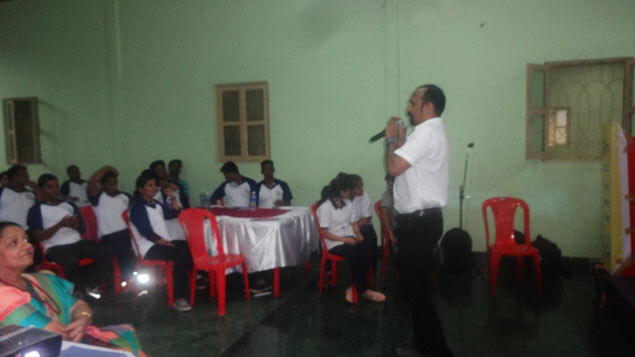 There were 4 sports disciplines & two physical conditioning subjects which includes Athletics, Football, Volleyball, Basketball, Sports Nutrition’s and sports injuries prevention & cure subjects were conducted in the two days clinic. 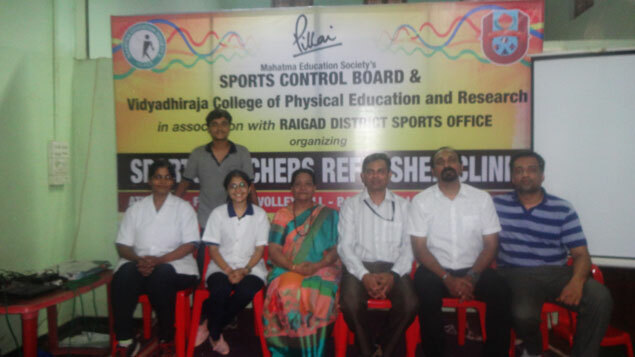 This is the first event of this kind organized at Raigad district and also by Mahatma Education Society. 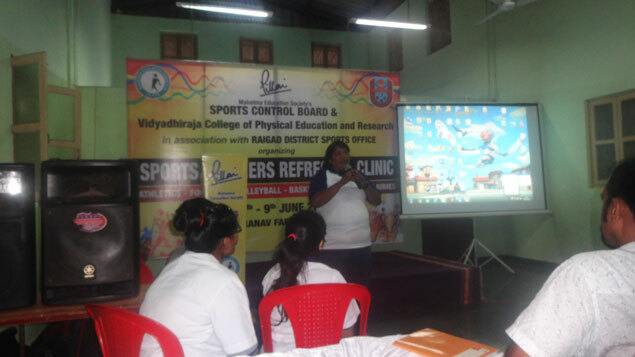 The responses from sports coaches / teachers were overwhelming. 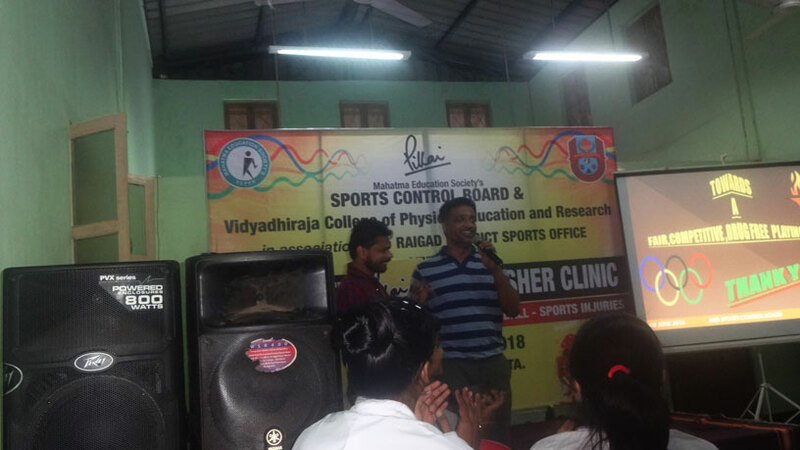 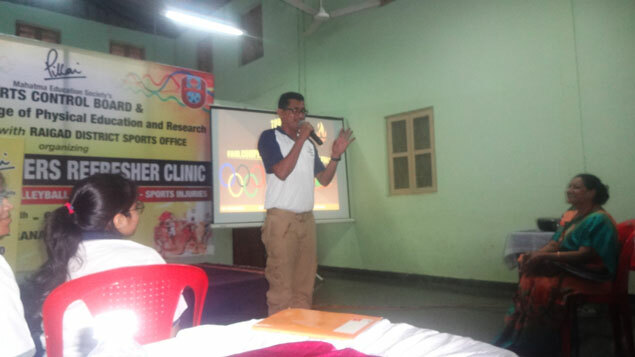 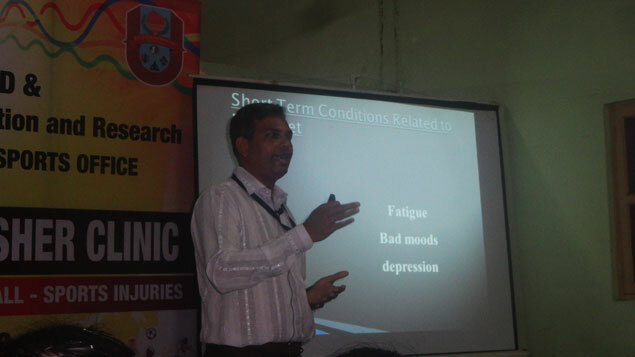 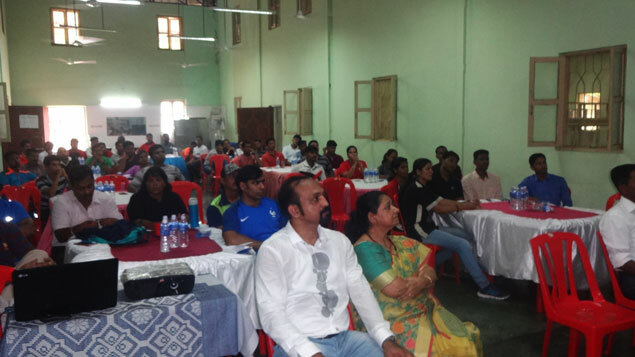 Various recourse persons Dr. Jaywant Mane (Athletics), Mr. Ramesh Subramaniam (Football), Mr. Atul Sawdawkar (Volleyball, Nutrition for sportsmen), Mr. Sai Venkatesh (Basketball), Dr. Nitya Pratal, Dr. Heena Bhanushali (Sports Injuries, MGM Hospital, Kamote) conducted the sessions. 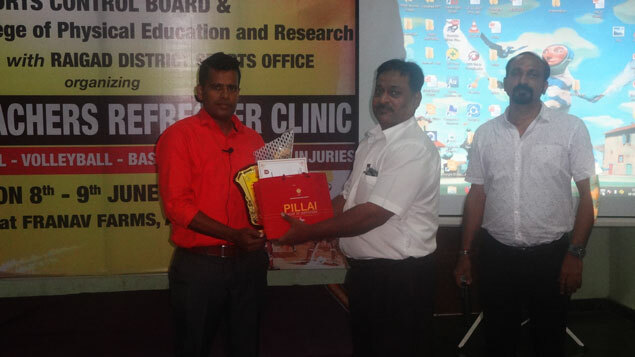 Certificates were awarded on completion of the clinic to the participants.